Maedical Central for your home. 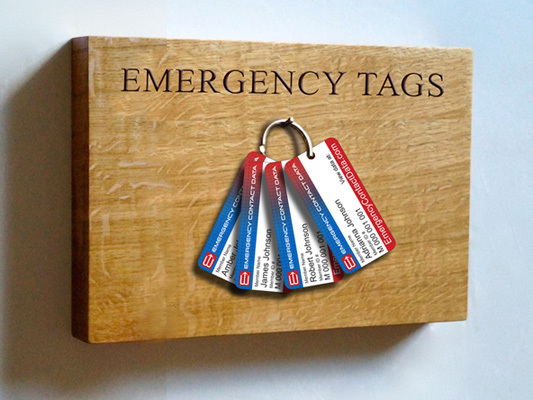 A very efficient way to be prepared for an emergency is to put each family member's ECD keychain tags on a single key ring and then place the key ring in a specific location in the home. 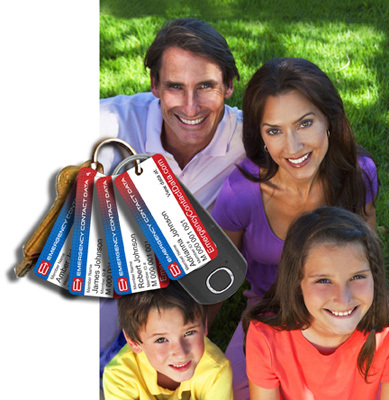 Equally efficient is to attach the family member's ECD keychain tags to each vehicle's key ring. 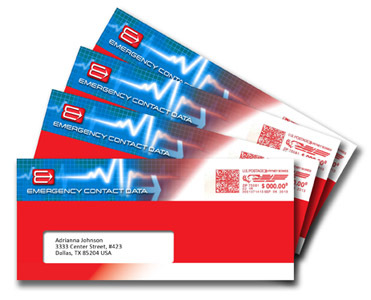 Each family member's profile can be printed from the website and stored in the bright red envelope that their membership kit came in. These EMRs can be kept in an obvious location within the home, in vehicles or carried with the family members if evacuation is required, such as in a flooding situation.